This article on Norman Vincent Peale and Smiley Blanton, who cofounded the American Foundation of Religion and Psychiatry in 1937, focuses on books that they wrote in the 1950s: Peale’s The Power of Positive Thinking (1952) and Blanton’s Love or Perish (1956). Similarities between Peale’s problem-solving techniques and Milton E. Erickson’s psychotherapeutic methods are demonstrated, and Blanton’s indebtedness to psychoanalytic theories and methods is also shown. The Peale–Blanton collaboration suggests that pastoral counselors may legitimately employ these very different therapeutic approaches depending on the needs of the individual counselee. On the other hand, the fact that they subscribed to very different therapeutic approaches raises the question as to whether the two men shared anything in common as far as their professional work with individuals was concerned. The answer is that both believed that we humans possess an enormous reservoir of untapped energies that, when released and appropriately directed, are capable of effecting fundamental changes in an individual’s life. Donald Capps is Professor of Pastoral Theology at Princeton Theological Seminary. His books include Reframing (1990), Agents of Hope (1995, 2001), Living Stories (1998), Social Phobia (1999), Giving Counsel (2001), Jesus the Village Psychiatrist (2008) and The Decades of Life (2008). Capps, D. (2009). Relaxed bodies, emancipated minds, and dominant calm. 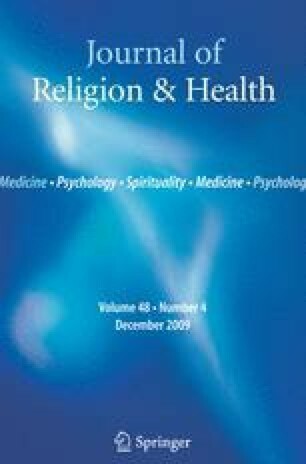 The Journal of Religion and Health. doi: 10.1007/s10943-009-9263-9.